Horseback riding at Glacier Park can start with a one hour trip, full-day excursions or for those that want to experience how it felt to live on horseback, an overnight trip. They offer riding with fishing packages as well, so no matter how you enjoy your outdoors you're bound to have a great time here! Imagine having wranglers setting up camp for you and eating around the campfire, the stories you could bring home would be incredible. 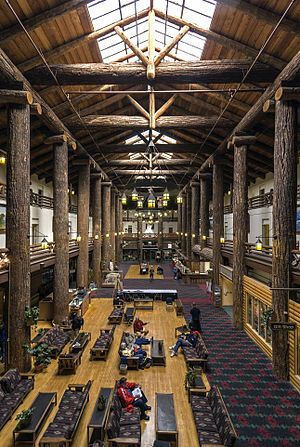 Our pick for lodging is the Glacier Park Lodge. Almost a storybook view and comforts that allow you to enjoy the beauty of nature without actually roughing it. 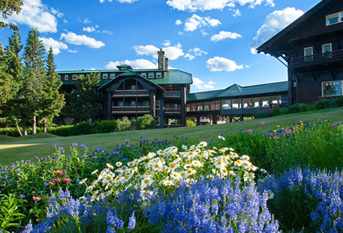 The lodge has scenic bus tours, a spa, evening entertainment, 36 hole golf course, evening entertainment, a boat cruise and was built in 1915. The picture below shows the lobby. If you're interested in the ultimate Adventure this year, we're listing Glacier National Park as one of our top 10 Friday Escapes in the US! 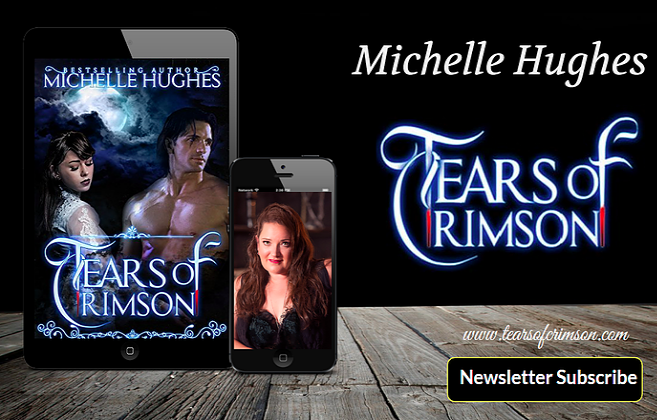 If you have photo's of a spectacular vacation that you would like us to discuss on Tears of Crimson drop us a line!